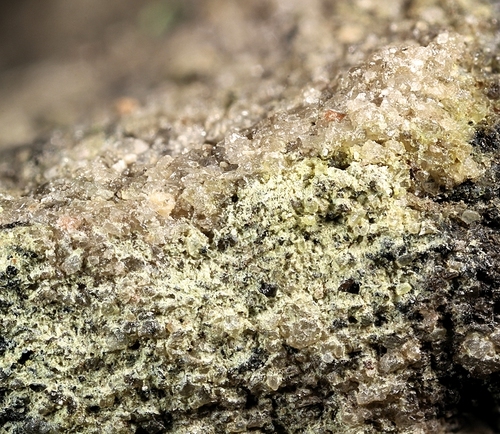 Metavanuralite: Mineral information, data and localities. 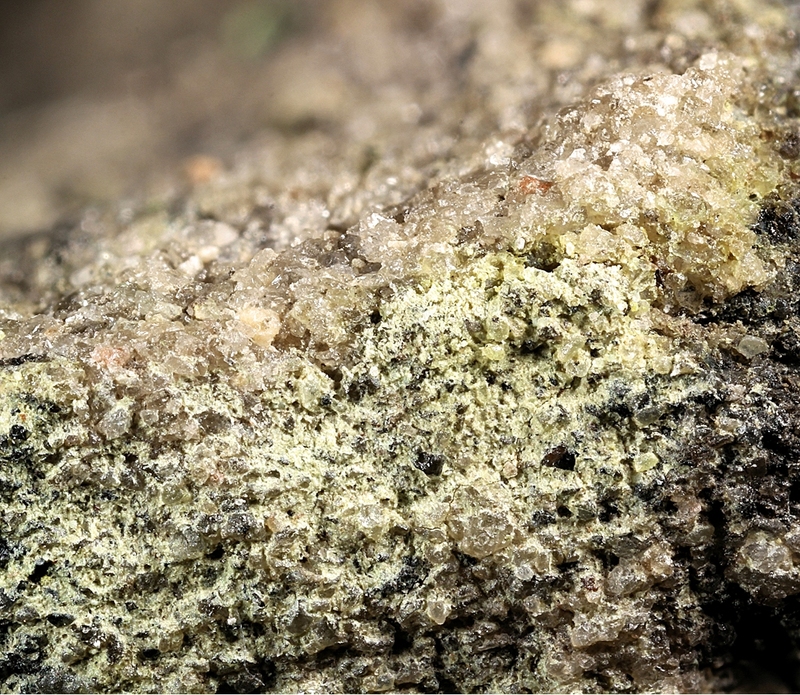 Named in 1970 by Fabien Cesbron for the mineral's dehydration relationship, "meta-" with the parent mineral, vanuralite. Apparently a dehydration product of vanuralite. Bladed crystals with oblique termination, usually in somewhat radial aggregates. 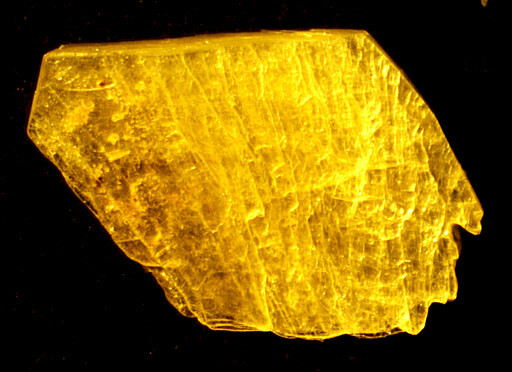 Yellow bladed crystals usually in radial clusters. Hydrothermal uranium and vanadium deposit. 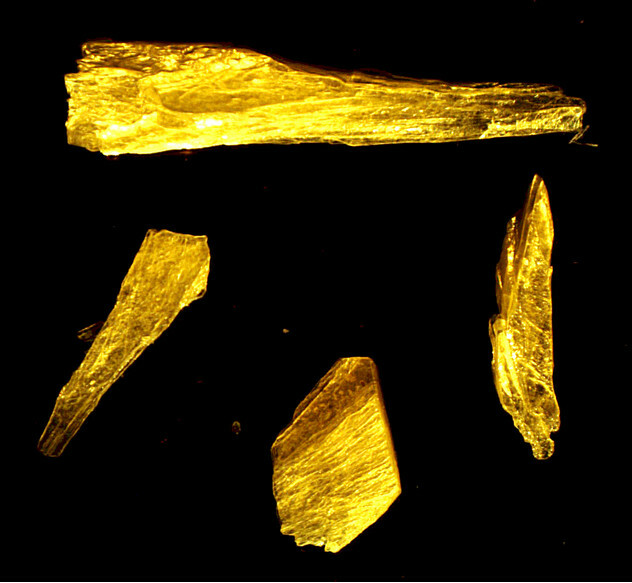 42.11.13.3 Threadgoldite Al(UO2)2(PO4)2(OH) · 8H2O Mon.